During the cool months of January and February, 40 lucky hunters were invited to test Kawaii Killer, the game on tablets and smartphones. Needless to say that our kawaiinimals were not safe! 1,204 games were started, and 158 of them were finished. The FAP (Forest Animals Protection) is sad to announce the massacre of 300,000 animals, leaving only 6,000 survivors agile enough to escape the apprentice trappers (porcupines not included). Speaking of porcupines, they were hit 1,250 times. In its report, FAP reassures itself by counting nearly 20,000 missed hammer hits, 6,500 katana strokes hitting wind, and 2,700 chainsaws started for nothing. A special mention for the wolf, who parried 700 hits using his metal plate! Bravo le loup ! See you next time for the next kawaiinimals! This entry was posted in Blog. : en_US. Bookmark the permalink. Post a comment or leave a trackback: Trackback URL. Kawaii Killer on the Acer stand at Paris Games Week! Kawaii Killer Plushy Edition is released! 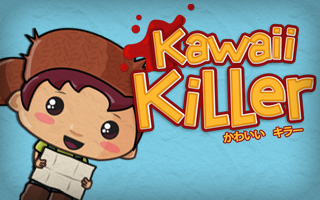 Kawaii Killer comes back on the AppStore on October 2nd!